COMMENTS: Stainless steel investigator pen in a flat dark earth durable DCL coating. The coating provides a matte finish with outstanding hand traction. Rick Hinderer is a pioneer in the tactical knife world - and is universally known for his XM-18 folding knife. 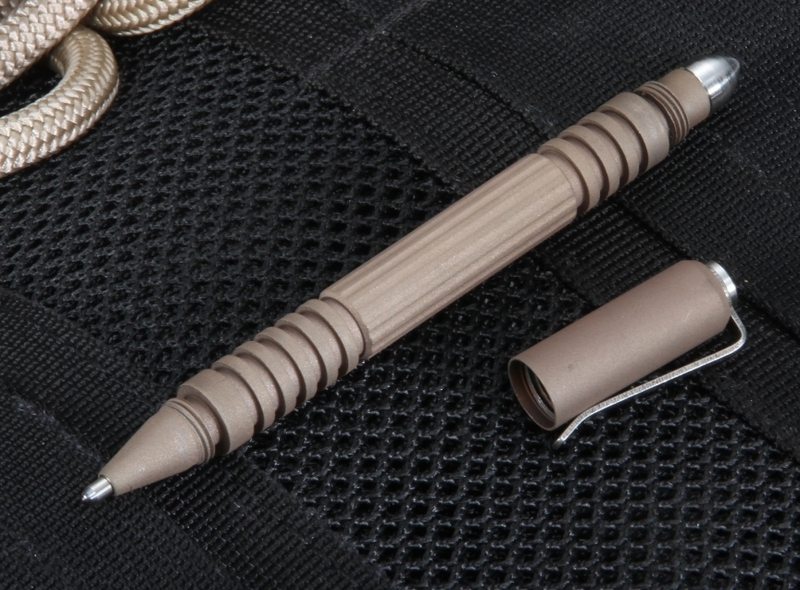 Designed and manufactured using state of the art CNC and CAD_CAM technology in America. 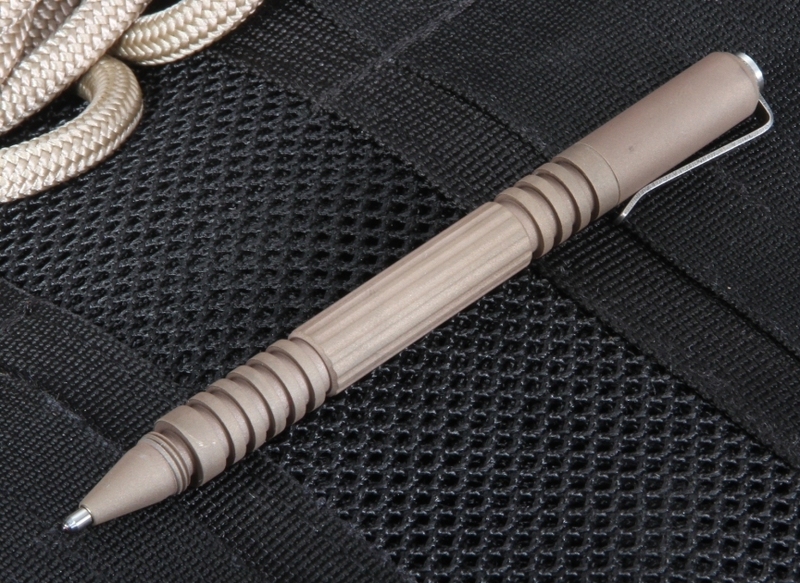 Properly placed traction grooves give a good firm grip when using pen in a CQB situations. Overbuilt toughness designed to take any level of punishment. Course threads used throughout for extra thread height which translates into a very strong tough thread able to take the punishment of hard strikes. Modular design so the user may add a multitude of end attachments to configure the pen however the person or mission dictates. Uses Fisher Space Pen full size pressurized refills (pn# SPR4B). Knifeart shipped pen immediately after purchased. Will buy again from these guys. Pen screams nothing but quality. Very pleased, thank you.